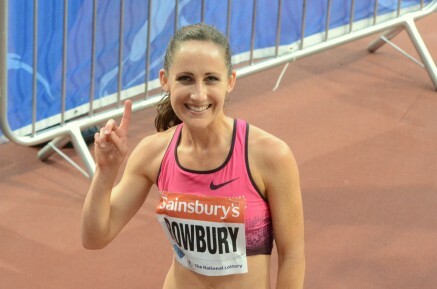 31st January 2016 – It was a mile double for PACE athletes Shannon Rowbury (USA) and Matthew Centrowitz (USA) at the Camel City Invitational in North Carolina. Both Oregon Project members took convincing victories in their respective 1 mile races and both also recorded current world leads. Shannon’s time was 4:26.01 while Matthew also set a new meeting record of 3:54.02. Laura Roesler (USA) continued her comeback with another season’s best as she ran 2:03.27 for second place in the 800m. British record holder Dina Asher-Smith (GBR) opened her indoor campaign with victory over 60m at the London Indoor Championships. Also racing over 60m was Schillonie Calvert (JAM) who took third place at the invitational meet in Nashville. In cross-country events over the weekend there was a return to racing for former World Indoor Champion Hellen Obiri (KEN) who took third in the Kenyan Defence Forces Championships. Selah Busienei (KEN) was eighth. Steph Twell (GBR) finished fourth in San Sebastian.